Legendary Japanese streetwear label BAPE is set to join forces with beverage brand Coca-Cola with this teaser as a first glimpse as to what is to come. 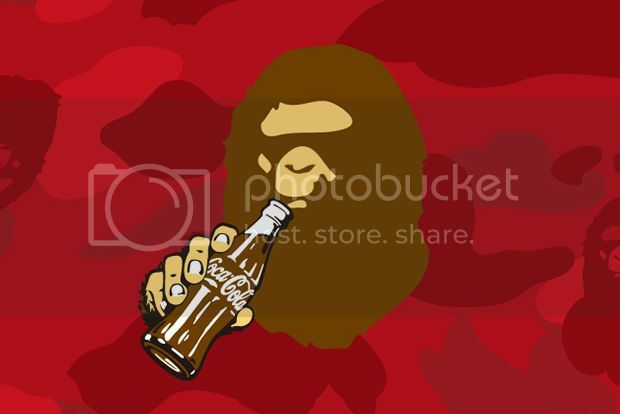 Here, we see the iconic ape face sipping on a classic coke bottle over a red 1st Camo backdrop. While little has been revealed, judging by previous collaborative efforts with streetwear giants such as BEAMS and HUMAN MADE we’re sure this project won’t disappoint. Stay tuned for more information as it comes through.